The Old York Historical Society offers a brilliant glimpse at what life was like three centuries ago in one of the first English settlements in the New World. With several recreated sites around York, the Old York Historical Society has gone to great lengths to preserve and educate visitors on life in the early days of North America making it one of many fantastic York attractions. Don’t miss your chance to see the museums of the Old York Historical Society, this is without question one of many fascinating things to do in York. Here at Dockside Guest Quarters, you can trust our expertise because we’re local! The visitor’s center where visitors are greeted is attached to the Remick Barn which dates back to 1834. At the visitor’s center, visitors can also go to the Remick Gallery, the York Corner and Jefferds Tavern. 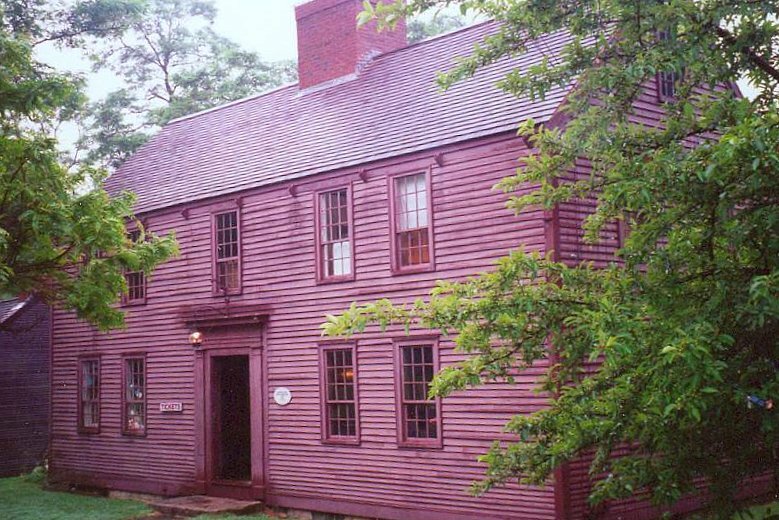 The tavern dates back to 1750 which is a great place to visit. The gallery also hosts works of art that reflect the history and culture of the area. Kids and adults will love touring the York Corner Schoolhouse. The Old York Historical Society moved the structure one mile from its original location but is a glimpse at what school life was like in the 1800’s. Sit at one of the desks and marvel at the original woodwork. Built in 1719, the Old Gaol or town jail is a National Historic Landmark. Visitors are allowed to tour the jail and learn about the criminals who were housed at the nation’s first royal prison. The family of the jail keeper lived above the dungeon and the stories have been passed down. The Emerson-Wilcox house requires a guided tour which is given Tuesday, Thursday and Saturday afternoons. Take a tour of this wonderful house that shares stories of those who lived there. Built in 1867, the George Marshall Store served as a general store that sold building materials and coal. The Old York Historical Society operates the store as an art gallery by curator Mary Harding. The Old York Historical Society has events at the different museums throughout the year. Enjoy fun events such as the Home and Garden Tour, Picnic Lunch at Hancock Wharf, and Cocktail Party at the Elizabeth Perkins House. There are plenty of wonderful museums and sites to visit by the Old York Historical Society. To ensure you see everything, make sure to book a stay at Dockside Guest Quarters so you enjoy them all. Not only do the accommodations offer timeless style combined with modern comforts, but, when you stay, you also get breakfast from our buffet each morning, ensuring that your days will start off on the right note. Our Dockside Restaurant is perfect for a great meal. For the quintessential coastal Maine experience, stay at Dockside Guest Quarters. We can’t wait to see you!